Highly regarded for his editorial and portraiture work. Claridge has been presented with over 700 awards and is currently one of only three photographers nominated for the Association of Photographers Lifetime Achievement Award. Throughout his life Claridge has shot a vast amount of what might now be classed as social documentary photography. The Contemporary Art Development Group at UCLan invited him to Preston to create a new body of work based on a subject of his choice. 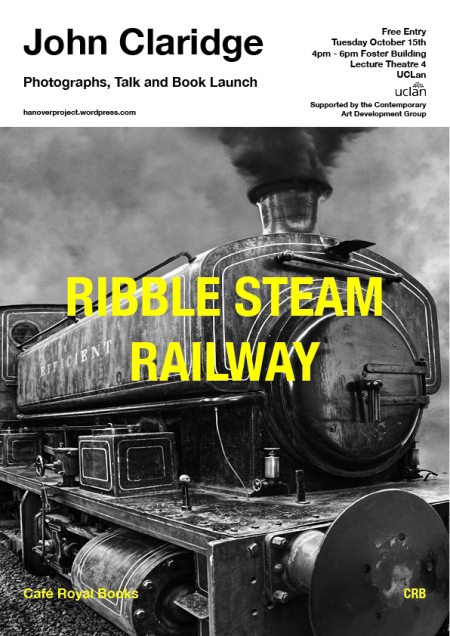 This new work will be presented, along with his older documentary work, followed by the launch of his new limited edition book, Ribble Steam Railway.